Like uncontested divorce, collaborative divorce settles your case outside of the courtroom. If you and your soon-to-be former spouse are on good terms, a collaborative divorce may be a good option for you. In collaborative divorce, the couple signs an agreement stating that they will not go to court. Then, along with their attorneys, they discuss all terms of the divorce and come to agreements that are fair to both parties. 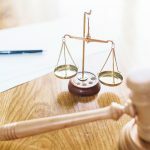 Unlike courtroom attorneys, collaborative divorce lawyers are not focused on simply getting the most for their client, but finding “win-win” solutions. During collaborative divorce, there is no litigation and you will not go to court. Over several meetings, lawyers work to understand what their client wants and needs and then works with your former spouse’s attorney to find an outcome that is fair. If necessary, professionals such as mediators, financial planners, or therapists may be brought into negotiations to help find the most equitable solution. When negotiations are complete and agreements are reached, you will follow the steps to file a simple, uncontested divorce. While any divorce is stressful, collaborative divorce is significantly less taxing than divorces that go to court. Collaborative divorces tend to be quicker and less expensive than traditional divorces. Since lawyers negotiate on your behalf, outcomes are typically more favorable for everyone involved. 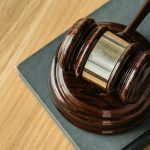 There is less conflict due to the presence of attorneys, mediators, and other professionals the couple may want to involve in the proceedings. Due to reduced conflict, the couple and any children are able to recover from the trauma of divorce quicker. Instead of one-size-fits-all solutions like those often reached in court, your divorce settlement is customized for you and your family. The end of a marriage is never easy, but collaborative divorce help alleviate some of the stress. We’ve helped Raleigh couples through divorce for over 20 years. When you need expert negotiators who will work to get the best outcome for your family, you need the Doyle Law Group. Call us at (919) 301-8843 or fill out our online contact form to schedule your consultation.